I would like to welcome you to the 32nd edition of the “Torneo Internacional de la Inmaculada – Trofeo Marga Monegal” and to the Real Club dee Polo de Barcelona. This tournament was born in 1987 with the aim of establishing contacts and friendship with our young players and players from other national and international sports clubs. 30 years later, we are very proud to continue doing it year after year. Over the years, the tournament has grown unstoppably. The small idea that our players could enjoy an international competition has become the most important children’s hockey event on the international scene. Few tournaments of any sport can boast of gathering for four days 1,200 players. But the competition is not our only reason for being. 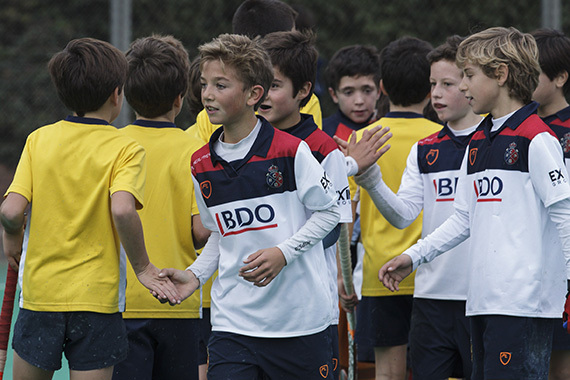 The tournament represents and disseminates values of friendship, sportsmanship and solidarity. These are days to live new experiences, to know new cultures, to make new friends and to enjoy pure sport. Throughout these days, all who visit us, without distinction, will have the opportunity to live with children from the most diverse points in the geography of hockey. For them we have prepared a series of entertainment activities open to all participants and their fellows. Young and old can enjoy the commercial Village and a large recreational and gastronomic area. We hope that you enjoy your stay in the Real Club de Polo and that your participation in this tournament will always remain in your memory. José Miguel Díez, tournament Director. From 7th to 9th of december 2018.